One year on: my tribute to Dorje Khatri | Edita's Blog - "Intotheblu"
It’s been a year since that morning on 18 April 2014 when an avalanche in the Khumbu Icefall took the lives of 16 Sherpas. One of them was Dorje Khatri, my friend, mentor and first high-altitude climbing teacher. At the time I could not bring myself to say or write much, but I kept my diary, so today, exactly one year after the avalanche, it seems like a good time to say what I could not say then. Today I lost in the Icefall avalanche my dear friend Dorje Khatri, a true brother. Just yesterday, I went to say hello to him at the Madison Mountaineering camp where he is sirdar. I found him busy as always, but he had time for me, offering tea, coffee, and a huge smile. I don’t know why it was so important for me to say this to Dorje yesterday. He laughed, gave me a warm smile and a big hug. We chatted a bit more, but I knew he had work to do, so I declined his kind offer of more tea, as I knew his time was precious. I didn’t realise that would be my last goodbye. Tears are running like rivers as I write this tribute to celebrate his life. Dorje was an amazing human being. I knew him since my first high-altitude Himalayan expedition in 2011. He was sirdar of our small group of four climbers on Cho Oyu, organised by the UK company Adventure Peaks. 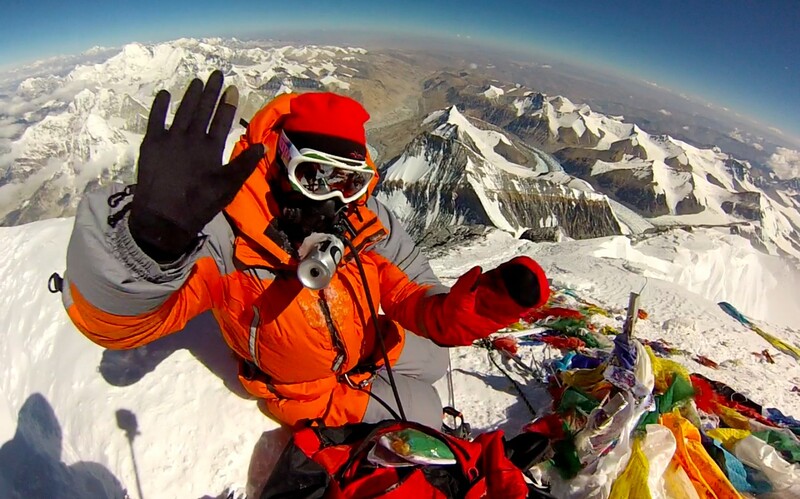 I was privileged to reach the summit of Cho Oyu with Dorje as my Sherpa. It was my first high-altitude climbing experience, and Dorje was my teacher and mentor. He gave me lots of confidence and even called me Sherpa, as he thought I was a strong climber. I remember on the way down from the summit of Cho Oyu, I asked him if I could help carry empty oxygen bottles. He laughed at me, but gave me a bottle anyway. He knew it would be hard for me, a western lady, to carry extra weight, but he trusted me and gave me the opportunity. It was very hard, and I even lost a crampon without noticing I had lost it. But I also understood how hard is the work that Sherpas do for us westerners on the mountain. Since Cho Oyu Dorje became not only my Sherpa, but my friend and big brother. He always looked after me on the mountains, even when I climbed with other teams. Last year I climbed Everest from the north side with Altitude Junkies, and Dorje was there with Adventure Peaks. If I had an issue, I would go to Dorje. He would always greet me with a big smile, a cup of tea and some wise words. He never stopped looking after me. On Everest I remember coming down from Camp 3 after the summit. I was so tired and became lost in the infamous Camp 2 on the North Ridge, a sprawling slope of rock scrambling, with broken ropes and high winds. Dorje spotted me and brought me to his tent. He sat me down, brought some hot tea, adjusted my oxygen bottle and flow, and gave me a big hug. That was all I needed to descend another 1,400m of slope back to Advanced Base Camp. My friend, rest in peace. You will be missed so much by us, but you will never be forgotten. I will think of you as I climb the highest peaks of the world. You will be in my thoughts and in my soul, always alive. Today has been a no-climbing day on Everest out of respect for those who died in the avalanche a year ago. Normal service will be resumed tomorrow, and our team Altitude Junkies plan to send 16 Sherpas up into the Western Cwm the following day. There has been a lot of snow this season and we are behind schedule, but there is still plenty of time. You can read more information in today’s dispatch by our expedition leader Phil Crampton.